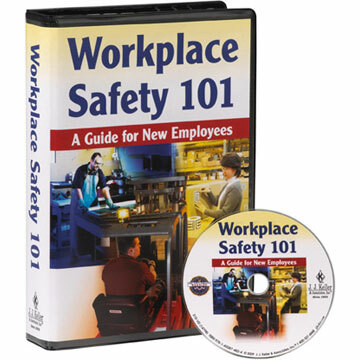 Employee safety training isn’t adequate for best-practices safety program. It isn’t reasonable to rely on employees to fully carry out all safety steps all the time, and sometimes safety hazards occur through no fault of your workers. Even in the best safety culture, there are things you can do to reduce the chances of the worst types of accidents by installing systems and equipment that fill the gaps left by training alone. There are physical and structural elements that impair safe operations – blind corners, high speed equipment, workers sharing space with forklifts, facility design, and the tendency to get into “auto-pilot” mode as we do the same steps over and over. It is human nature to become less cognizant of danger the more times one successful avoids injury. Reaching across that speeding conveyor belt didn’t catch a loose sleeve the first 500 times, but on reach 501, that sleeve catches and a worker is seriously endangered. Emergency stops, guards, and rails that control the angle of reach are critical safety enhancements for these situations. 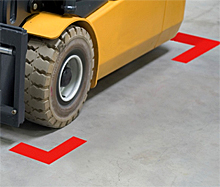 Simple upgrades like floor marking tape provide visual clues to where traffic lanes are, where hazardous equipment is, show safe entry points and more. By having a color code system in your facility, you can help your employees work more safely by providing them with the visual reminders of safety training received. When you educate your employees, teach the color codes associated with different safety elements. Add signage to your facility. Again, visual cues help keep workers safe. Use text to convey hazard warnings in addition to color coding. Be sure the message is clear and concise. The fewer words used, the better. Put barriers around unsafe areas. 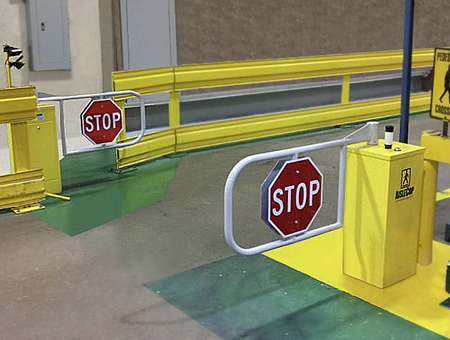 Separate pedestrian traffic from forklift traffic with guard rail to prevent workers from getting in the path of industrial vehicles. Put wire mesh panels around moving equipment and limit access to those areas so that workers can’t get within the equipment’s field of motion and be injured. Protect racking with end stops and upright protectors to keep forklifts from damaging the support structures. Add safety netting to racks to keep goods from falling onto workers below. Protect building structures with clearance bars, guard rail and column protectors to prevent structural damage from industrial vehicle collisions. Help protect workers with personal protective equipment like masks, gloves, helmets and steel toed boots. Don’t just provide them–mandate them and be certain people are complying with the policy. Then go further by providing equipment like welding screens to protect eyes, acoustic dampeners to reduce noise levels, floor matting to prevent slip and falls, and mezzanine gates that keep workers away from openings in the mezzanine rails. These are all areas where significant injuries occur – injuries that hit your pocket book through workers’ comp claims. Injuries that can result in an OSHA inspection with serious fines afterward. Add forklift warning lights to help workers notice them sooner. These lights precede the forklift by around 15′ and help alert workers that a lift may be emerging from between rack aisles, from a trailer, around a corner, etc. They’re inexpensive and are an ideal part of a training program. Install motion detection systems with flashing lights and/or sirens to help both operators and workers be aware of each others presence at blind corners, in rack aisles and warehouse entry points. These sensors detect traffic and provide warning that something is moving around the corner, near the aisle, etc. Where you have pedestrian crossings, install AisleCop® automatic gate systems that help limit cross-traffic dangers.These systems are ideal for your worst areas, such as high-traffic crossings, busy points in the facility, blind areas like corners, and wall cutouts. Many configurations and potential applications are possible with these systems. Increase visibility by adding safety mirrors such as full domes and half domes in strategic locations. Don’t rely solely on industrial vehicle backup horns to keep workers safe – install rear-view mirrors on the vehicles so that operators can see what’s going on around them – before they start backing up. Proper storage and distribution of hazardous materials are probably the two best ways to safely handle these often caustic, corrosive and toxic chemicals. Proper storage entails spill containment rack and safety cabinets in addition to making sure drums are not corroded or leaking before you accept them from your supplier. When distributing contents, make sure you have the proper spill containment materials in place before beginning to pour. Use the correct funnels, pour spouts and tilting equipment to safely handle drums. Have trained HazMat personnel on hand when drums are being handled so that the correct safety actions will be taken in the event of a spill. The loading dock area at any facility is probably one of the most dangerous locations. Too many forklifts drive off the dock edge and workers step between semi trailers and the dock. Too many lives are taken through failure to think before taking action. Too many accidents occur from failure to clearly communicate between truck drivers and dock workers. Step up safety in the loading dock zone by adding traffic lights at the dock door to help drivers know when they should and shouldn’t pull away from the dock. Install dock gates to prevent personnel and vehicles from taking the deadly dive. Install dock door monitors that detect motion in the dock door to warn of vehicles pulling into and out of trailers. Add dock reflectors, to help drivers back the trailers into position safely, and dock bumpers to prevent damage to the building structure. Do all you can to make your loading areas safe areas. More than all else you do, engendering a positive attitude toward safety will do more to truly keep workers safe than anything else. Communicate the value of protecting life and limb, the importance of preventing situations that may endanger fellow workers, ways to be considerate through safe practices. Company culture impacts safety more than you think, and how you communicate safe practices will affect that culture. Make it a positive approach rather than punitive. Train, train, train. The time spent is time invested, not wasted. But don’t stop at training. You have to train your staff and create a culture of safety, but that’s just the start of a safer operation.